Yes, MUSIC IS A LANGUAGE. How often have we said and heard that? 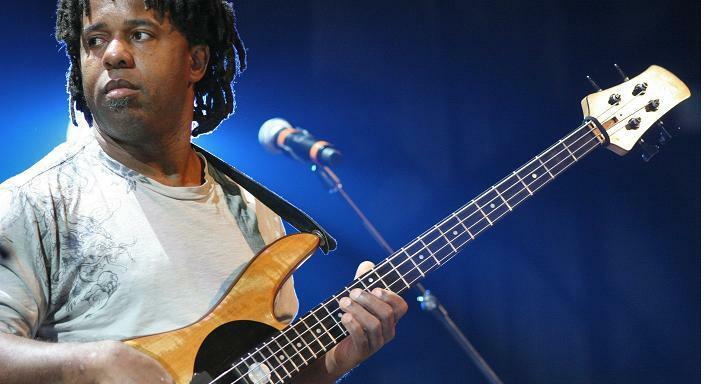 But in these videos, Victor Wooten brings new truth to that old familiar saying. In the video below, Victor Wooten expands on this material and goes on to build the compelling case that, as music is a language, it is also a UNIVERSAL language. And may even be the most effective vehicle to achieve World Peace. I SO agree with the above. Note the example of these three orchestras composed of Israelis, Arabs and others, who can and do ignore politics to play music together: The Polyphony Foundation, The Arab-Jewish Orchestra, and The West-Eastern-Divan Orchestra. You can get into MORE of his ground-breaking ideas in his book: THE MUSIC LESSON - A SPIRITUAL SEARCH FOR GROWTH THROUGH MUSIC. Though Victor Wooten is not a "writer". you can "read through" that to reach what he does have to say about the mental and spiritual aspects to and attitudes about playing music, and how to practice it. These ideas are ingenious and quite enlightening. AND yes, a few practical strategies for actually improving one's technique are in those pages if that's what one is looking for. I counted about eleven substantive ideas which can be employed as 'exercises'.. I use them and they do bring a new mindfulness and freedom to ones approach to the instrument. And there are many, many other techniques, methods and teachers who are - thankfully - bringing music teaching out of the "NO! NO! NO! You DUMMKOPH [blockhead] You are doing it WRONG! And you will NEVER become a Great Artist!" era, a few of which I have presented on these pages. Destroying the myth of: "Perfect pitch is something you are born with - If you don't have it, it can't be developed"
Here's another "myth-bust": "Creativity is elusive, and no one really knows how to acquire or develop it - Some have it and some don't." And another: "If it's not AGONIZINGLY BORING, then you aren't practicing. So just use your hands only and get through it." Well, if you've been around this site for a while, you know I've got a nice collection of "myth-busting" tools to help you in all aspects of music. Reach out to me through my "contact me" page if you want the latest 'stuff'.